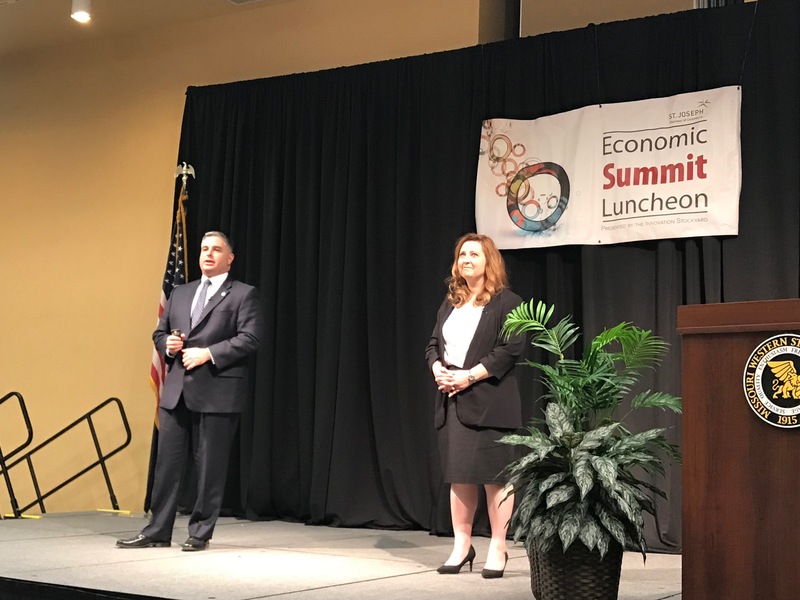 Zora Mulligan, Commissioner of Higher Education, and Rob Dixon, Director of the Missouri Department of Economic Development, discussed their work in addressing changes to the state’s economic development program, as well as needed changes in education, to affect workforce development at the 2018 Chamber Economic Summit Luncheon. 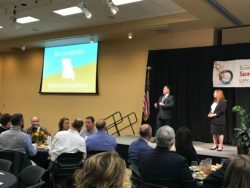 About 240 people from the business and education communities attended the event, held at Missouri Western State University, on Nov. 15. 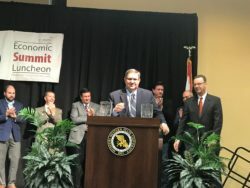 Mulligan and Dixon described how Missouri is not only losing the attraction battle for skilled and educated workers, but it’s failing to retain the students that graduate with those skills and knowledge. Their departments are working on an ambitious plan, to not only reverse this trend, but to become a nationwide leader in workforce development. 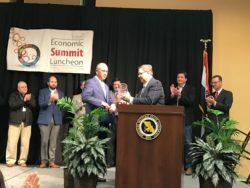 After the presentation by the state leaders, the Community Alliance of Saint Joseph presented Harry Roberts with a glass vase, thanking him for his service as Presiding Buchanan County Commissioner, and Steve Johnston, Director of the Community Alliance, was given a token of appreciation by Alliance members for his service to the community as he retires from the position to take a part-time position at Missouri Western.